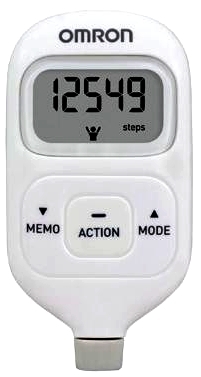 A pedometer is a tiny clip-on device that monitors the number of steps you take throughout and exercise routine or your daily activities. Most dedicated pedometer devices are quite small (similar to the size of a matchbox) and are attached to the waist of your pants or to your running top. Certain watches have pedometer functions built into them and there are many iPhone and Android apps that count your paces when walking or running . Each step you take when walking, or stride when running activates the counter in the pedometer, and a step or stride is added to your total. Wearing a pedometer can provide a simple way of tracking your activity level and can be an excellent tool for a weight loss program. Certain simple devices are designed only for walking but many can be used for jogging and running as well. The smartest one can measure your distance covered and your pace so they can estimate the number of calories burnt. Data form the National Institute on Aging in the US, suggest that most relatively inactive people ('slough potatoes') take between 2,000 and 5,000 steps in every 24 hours. This apples for office workers officers who only need to walk short distances to and from the bus or train stop to their building and desks where they spend long hours parked in front of their computer terminals. Research has shown that sitting down for long periods of time can reduce your overall life expectancy sue to a number of circulation, heart and metabolism problems ( See: How to be Active Sitting with Better Posture, Less Sitting Risks ). Using a pedometer you can monitor how many steps you take throughout the day to set a baseline for your efforts to become more active. Short brisk walks, even for only 15 minutes can be very beneficial for your health. Increase levels of regular physical activity, in the form of simple walking or more elaborate exercise can help burn calories for a weight loss program. Initially you should aim to increase the number of steps you take to the range of 8,000 to 10,000 steps per day. This is the threshold recommended by the National Institute on Aging. Next you should step up to the high-activity group category, in the range of 15,000 steps a day or more. 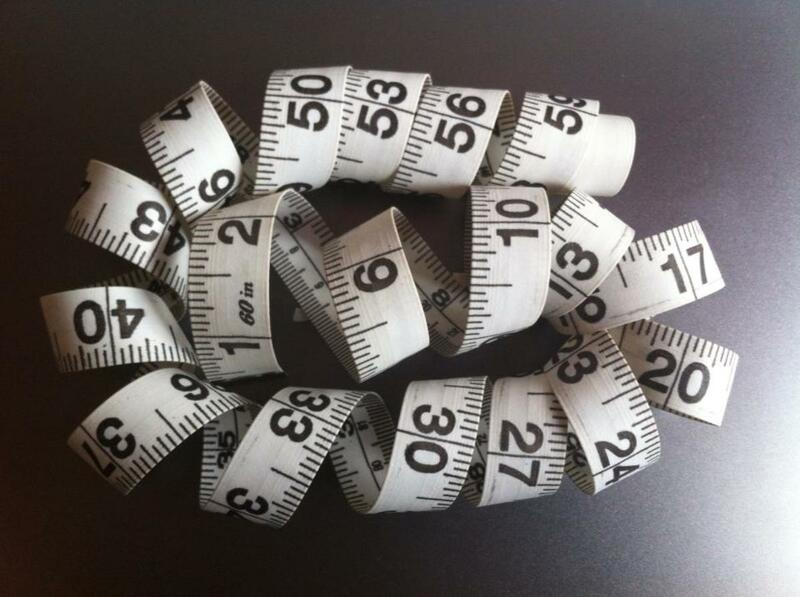 You can use a pedometer and a plan to set yourself a goal and monitor how well you are progressing in meeting. There are number of excellent apps that can be used to set up plans and track your progress (See: Best Running Apps for iPhone, Android - Reviews, Guides, Coaching). For example, if you start at a base level of 4,000 steps per day, you could set yourself a goal an extra 1,000 steps a week for an 4-week goal to get to 8,000 steps per day and another 1000 steps per fortnight to get to 10,000 steps a day. Most people do about 2,200 steps per mile or 1,340 steps per km and so this increase is equivalent to about 5 miles or 8 km. All you need to do is to record the number of steps when you go to bed and reset your pedometer each morning to keep track of your progress. 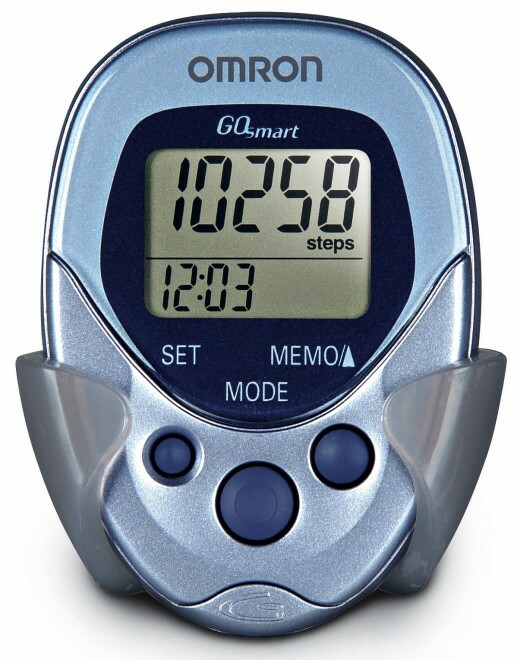 Tools that track your activity levels throughout the day, like a pedometer, can be used to get you moving. If you check your score throughout the day and at lunch time or when you leave work you can use it as a 'scare graph' to remind yourself - 'Hey its lunchtime already and I have only done 1400 steps of the 8000 I am supposed to be doing today'. Remember that you don't necessarily have to go for a formal 3 mile or 5 km walk or run to get back on track, you can simply take more frequent breaks and walk further at lunch time to try out an new restaurant. Or you could take the stairs rather than the lift - climbing the stairs has many additional health benefits. Pedometers are an excellent way of breaking out of training plateaus. 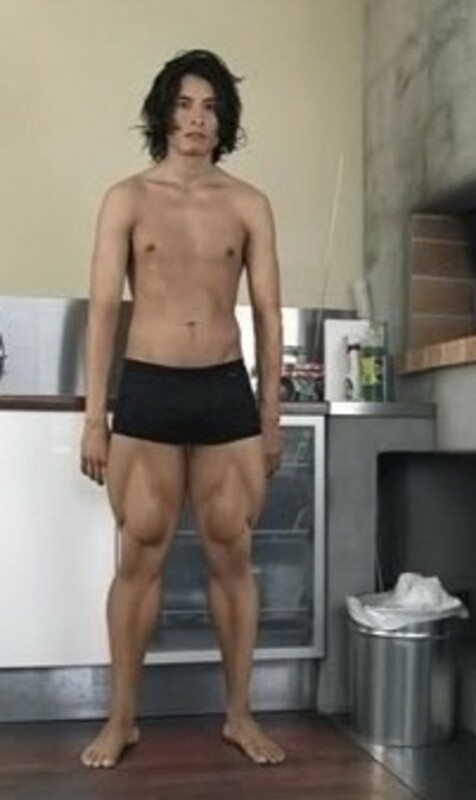 They are also a good way of monitoring your interval training sessions. You will find it very hard to achieve the recommended 10,000 steps per day during your normal sedentary job or lifestyle. A pedometer can encourage you build structured walks as exercise sessions throughout the day - perhaps at lunch time, or before and after work. Even 20 to 30 minutes on a structured walk each day is equivalent to 3,000 steps at moderate pace and one hour of walking is about 6,000 steps. This will match the 5 sessions of 30 minutes of exercise per week proposed by the American College of Sports Medicine to help stop weight gain in adults. You can also engage in various cross-exercise activities and add the equivalents to your daily step records. The table shown below summarises the step equivalents for a wide range of exercises for interval of 1 minute, 15 minutes, 30 minutes and one hour. You can monitor your steps, calories burned, distance travelled, and various other information with the variety of pedometer watches that are available. There are various levels of sophistication and most include a variety of sports watch functions such as time, stop-watch functions, alarms and countdown timers. Some pedometer and sports watches feature a pulse rate monitor, and some come with chest strap for monitoring your heart rate, or take it from your wrist pulse. Various other features are available. As mentioned previously there are a wide range of apps that include pedometer functions. Walking expends about 3-4 times more energy than sitting down and running 8 times as much energy. 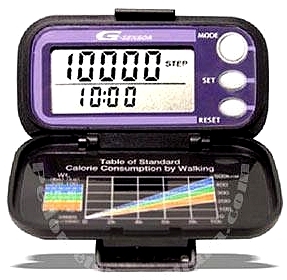 A pedometer is an excellent tool for a weight loss program that involves tracking your calorie deficit and weight. Your calorie deficit is the difference between calories burnt through exercise and calories eaten in food. Diets only work when you maintain a calorie deficit which can be monitored and graphed in combination with your daily weight records. Do you Think Pedometers are a good idea? Great hub. Well written, good ideas, good charts, easy to understand. Just right for those who are into these disciplines or would like to be. Your chart rocks. 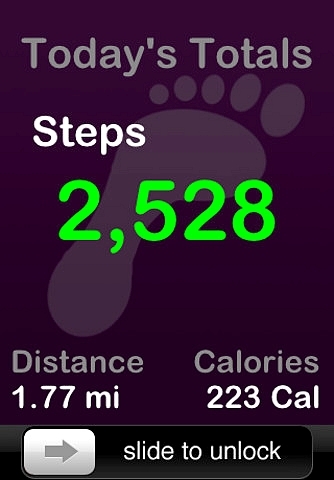 Loaded with info, and I need to get a pedometer. Voted up and shared!